Ahead of the DVD release next week, the creators of the new horror-thriller It Lives Inside fill us in on their beginnings digging up dinosaur fossils, juggling full-time jobs while making movies and how they financed their latest project. When did you come down with the filmmaking bug? JH - I’ve always been a creative person. Stories just seem to come to me in little snapshots, which almost forces me to write. I’ve always been a fan of the medium and it has always been a dream. It was just one of the dreams I assumed was too big until Sean and I realised we had the same dream. SB - I was in Montana working with Jack Horner, of Jurassic Park fame, digging up dinosaur fossils with a buddy of mine in the early 2000s. We’d been in the high desert for about three months when we heard that the border patrol was looking for people that were running money or drugs across the Canadian border. Later on, I thought seriously about how I could make a movie around this scenario or anything else that was interesting. I went back to the science fiction story I was writing at the time and decided to turn it into a film script. Had you had family or friends in the industry? SB -Yes! My great uncle Henry Mullins, known as Henry Hite, was part of a Vaudeville act called, Lowe, Hite, and Stanley. My uncle was a giant and he’s in the Guinness Book of World Records. His performing height according to his publicist was 8ft 2 inches, although he is listed as being 7ft 7inches. He acted in two films, New Faces of 1937 and Monster A Go-Go. The last film has the dubious distinction as being one of the worst films ever made! It was directed by Bill Rebane and Herschell Gordon Lewis. My uncle played the monster. Do you remember your first camera? SB -We shot It Lives Inside with my first professional camera, the venerable Sony FS700! Most filmmakers, especially when they’re starting out, have to hold down another job at the same time - at least until one of their films hits big. Was that the case for you? JH & SB -That is the case for both of us. We’d love to do this full-time. It’s the most satisfying thing I’ve ever done, outside of raising a family. How many films have you made? This is it, so far. How did you get this latest project up - was it a privately financed film? Yes, we’ve had to finance the film entirely out of our own pockets. Is it a movie based on personal experiences? Or maybe a homage to a favourite film? JH - When I was young, I saw things out of the corner of my eye. That was terrifying. Also, I have actually heard strange things out of our baby monitor years ago. I think all writers pull on personal experience for the dramatic elements and this is no exception. As far as an homage, I would not use that word, but The Shining was definitely an influence. How did you pitch it to your cast and producing committee? JH - I think it was the simplicity that sold it. I had to sell the idea to Sean, but he really believed in the script. Our Casting Director Michelle De Long sold the idea and “us” to some of her students and pool of actors. Has it opened doors for you? 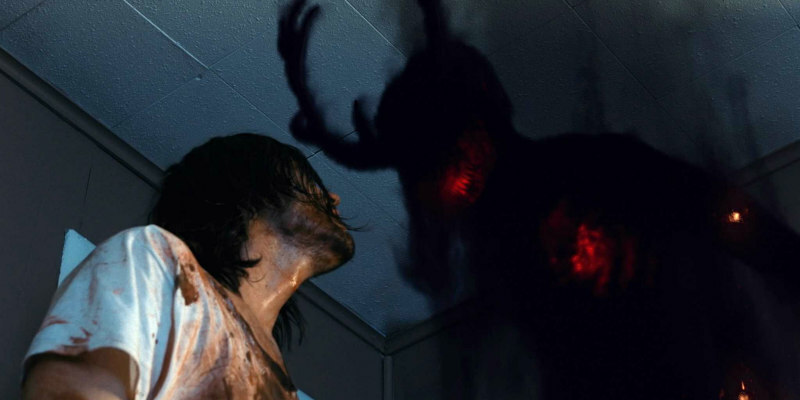 It Lives Inside was picked up by High Octane Pictures. We hope to shoot many more films under their banner. Where and when will it be available? 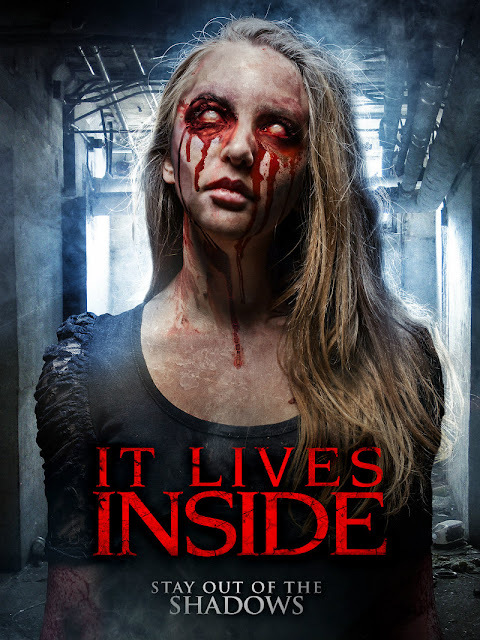 It Lives Inside is currently available on iTunes, Amazon, DISH, Shaw, Comcast, Fandango, VUDU, Xbox, and Google TV. The DVD will be released in September of this year.